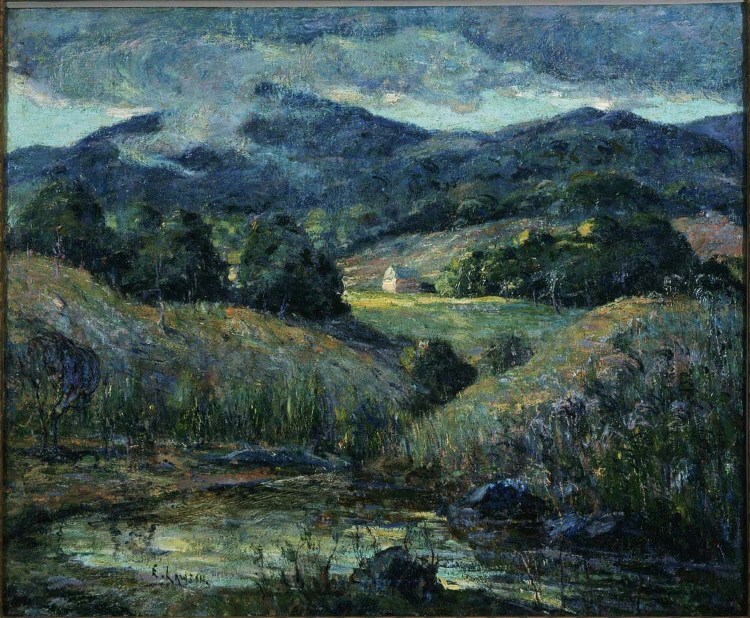 Ernest Lawson, Approaching Storm, 1919-20. Oil on canvas mounted on wood, 24 3/4 x 30 in. 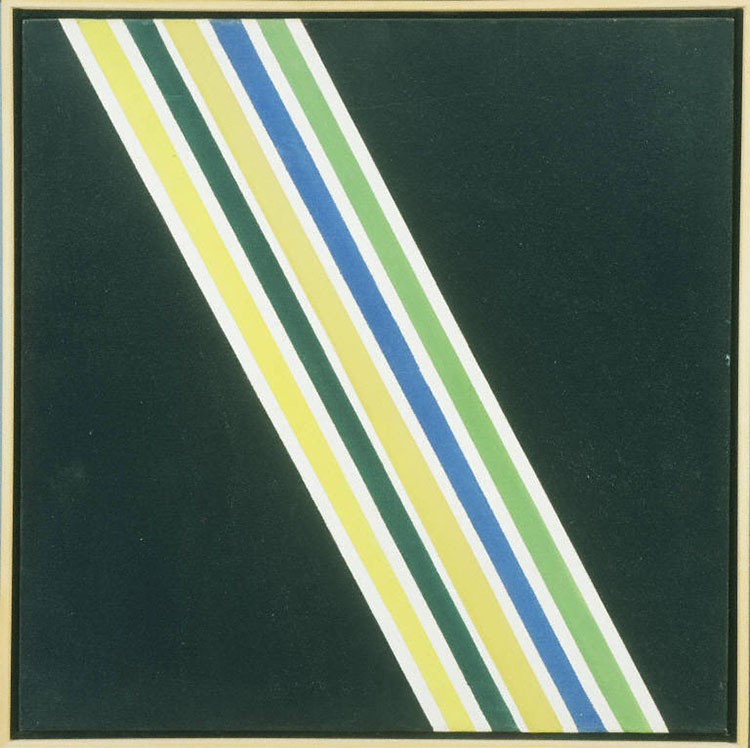 The Phillips Collection, Washington, D.C. Acquired 1922. Last month, I had the pleasure of observing a meeting in the galleries by individuals in an art therapy pilot program presented by the Phillips and Iona’s Wellness & Arts Center. This program offers older adults (many of whom suffer from Alzheimer’s or related dementia), along with their families and caregivers, the opportunity to connect with each other through guided conversations about art at the Phillips. These individuals then continue processing their responses in the art therapy studio at Iona. Many of original artworks created there are now on view at the museum in Creative Aging at The Phillips Collection through Nov. 30 for Arts + Healthcare month. When I entered the Phillips parlors where this particular session was to take place, my colleague Brooke Rosenblatt (who created this program with Iona’s art therapist Jackie McGeehan) was leading a discussion about Ernest Lawson’s Approaching Storm (a prescient choice, well before any of us were aware that Hurricane Sandy was on its way.) 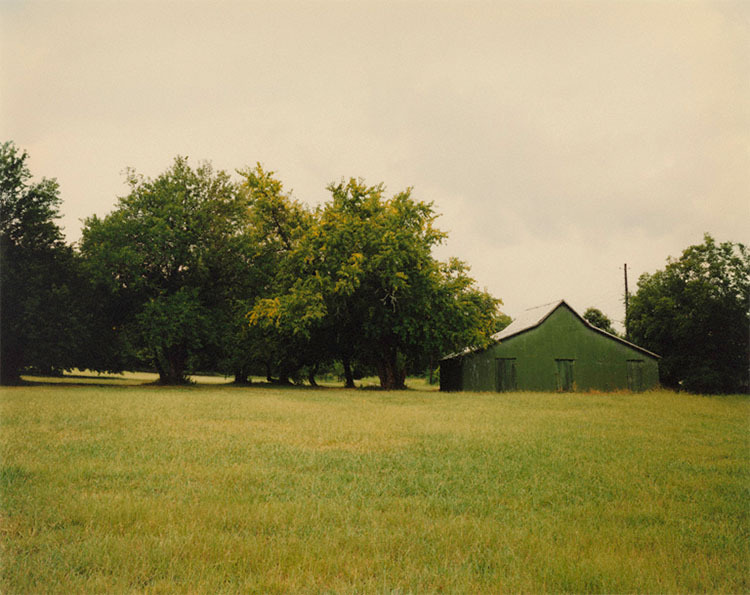 While Lawson shows a stormy darkness encroaching on trees and pond beneath a churning cloudy sky, the individuals in the room were focused on something else–a small house, bathed in light, at the center of the canvas. One person noted repeatedly how lovingly the work was painted and others commented, in different ways, on the warmth and hominess radiating from this central point in the picture. Brooke asked the group to imagine that they had painted this work and could rename it anything they chose. 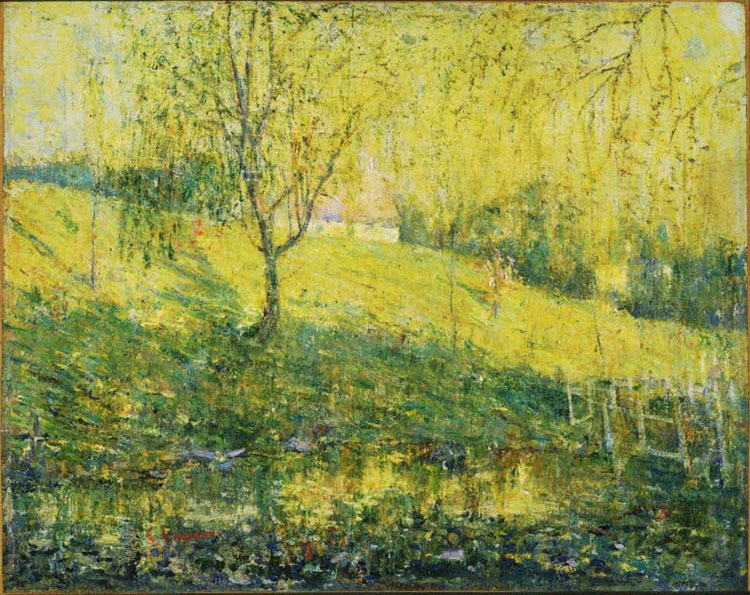 A consensus was quickly reached for a decidedly optimistic revision–the work would be called House in Sunshine, House in Sunlight, or some variation on the theme. Smithsonian‘s “Collage of Arts and Sciences” blogger Megan Gambino attended the same session, and you can read her perspective on the program (and scroll through plenty of pictures) in this article published November 7.